It is still officially in winter. However, with a forecast high temperature at 72°F or 22°C in Las Vegas for tomorrow, it certainly feel like spring already. 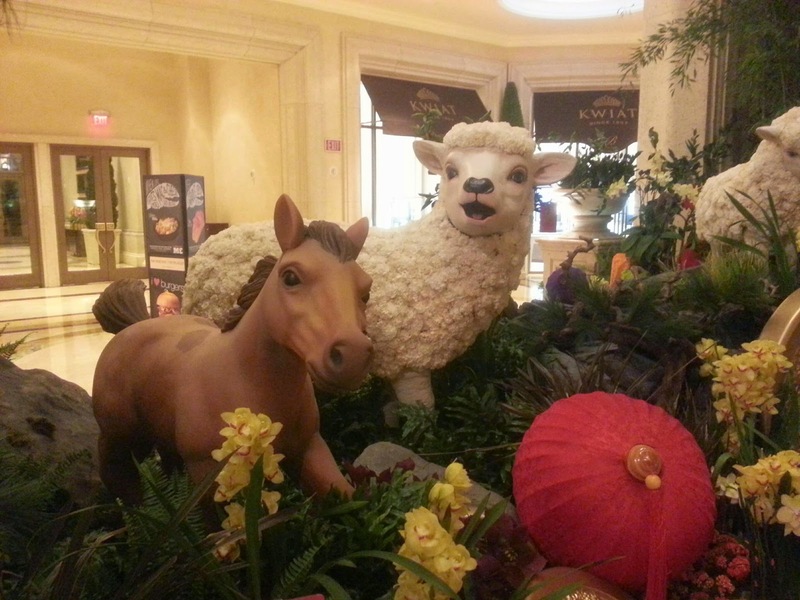 To commemorate the incoming Year of the Ram, The Venetian and The Palazzo have put out a Chinese New Year art installation at the Waterfall and Atrium Gardens, featuring three life-size rams. A ram is an intact male sheep. Eight additional sheep adorned with fleece of fresh carnations are spotted around the waterfall. In the photo below, a horse and a sheep are seen together, symbolizing the transition from the Year of the Horse (2014) to the Year of the Ram (2015). 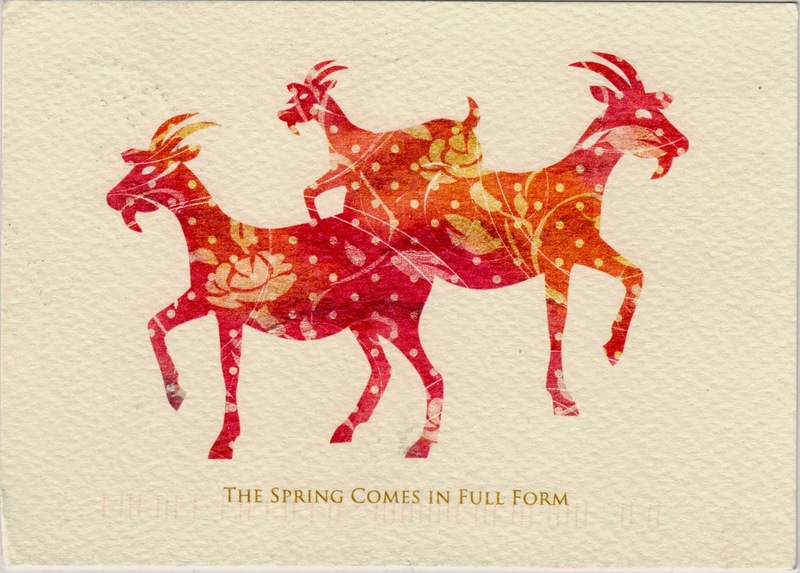 Postcard TW-1478246 from Taiwan shows three goats in a water color painting. Sheep is of the genus Ovis while Goat is a member of genus Capra. Sheep have wool while goats have hairs. According to Yahoo Answers, "the easiest way to tell a sheep from a goat is by their tails. In goats their tails point up toward the sky. In sheep, they hang down, pointed at the ground."